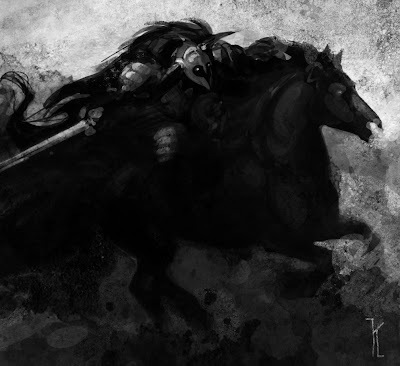 A dark raider, part of a series of horse warrior sketches I am doing. All these sketches were kept to an hour limit, and I am experimenting with texture and fast digital effects to add grit. Some of it works, some of it doesn't, but I can get through a few of these quickly, so I can always come back to it later to enhance or change.